Ready for just one more run? 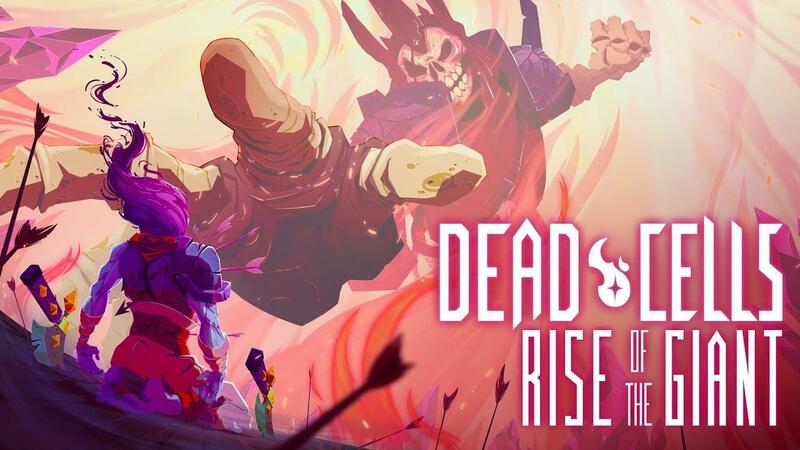 The Dead Cells - Rise of the Giant free DLC is releasing this week (March 28th) as Motion Twin celebrate good sales. The developer spoke at GDC and they went on to mention that Dead Cells has now officially sold over 1 million copies! Around 60% of that was on PC too, so the indie market for good games is still alive and well by the looks of it. New levels: You’ve got a new level that’s connected to the main level structure and immediately available to anyone who’s finished the game at least once. You’ve got another (poorly) hidden level, for the masochists who know that there is a Boss Cell 5. New Bosses: Mirroring the above, you’ve got a new completely different type of boss available in the main level structure, with another INSANELY difficult boss hidden behind even more ridiculously difficult content. Skins: People have been requesting this for ages and we’ve finally found the time to make the necessary changes to accommodate the request. You’ve now got access to female skins, fluro skins and a Christmas tree skin, cos why the hell not. Don't own it yet? You really are missing out, it's fantastic! You can grab a copy from Humble Store - GOG - Steam. Oh it's very nice of them to release it for free. They have made a great game and seem to be nice people as well. Does anyone have a video of their GDC talk? Studio : Here's the first half of the game, that'll be 60$. Player : Where is the other half ? Studio : We'll release it later and sell it to you for another 60$. Studio : Here's a buttload of additional content. Player : Oh, neat ! How much for it ? Maybe they have enough money to make a linux version that does not require pulse audio now. stan Maybe they have enough money to make a linux version that does not require pulse audio now. ...or support the Steam Controller, so we can stop relying on sc-controller to be able to play Dead Cells. Or release a Linux version on GOG that has Twitch integration.